Johannesburg, Friday 12 April 2019 – The Thuthuka Bursary Fund could be your chance of making your dream of becoming a CA(SA) a reality. Applications for the 2020 university intake are now open. 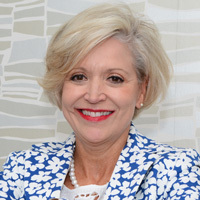 Johannesburg, Friday 29 March 2019 – Despite being one of those fields that faces a critical skills shortage, the Department of Higher Education and Training’s top 100 scarcest skills in the country notes that there continues to be a shortage of chartered accountants entering the profession. Moreover, of those in the profession, 70% of chartered accountants are white. Johannesburg, 28 March 2018 – SAICA takes note of the unexpected news that Adv Eric Mkhawane, the CEO of the Office of Tax Ombud (OTO) has resigned after more than six years at the helm of its operations. His last day will be on 31 April 2019. Johannesburg, 20 February 2019 – SAICA hereby informs all stakeholders that the hearing in respect of Mr Tshifhiwa Matodzi, the former Chairman of the Board of VBS Mutual Bank, was concluded on 19 February 2019. The Disciplinary Committee has ordered the cancellation of Mr Matodzi's membership from SAICA in terms of SAICA By-law 30.2. Johannesburg, Friday, 15 February 2019: The results of the Assessment of Professional Competence (APC) – the final hurdle in the seven year (minimum) Chartered Accountancy qualification journey – released today yielded critical insight into the quality of newly qualified CAs(SA) being produced for business. 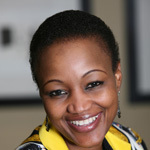 While the results reflect a decline in the pass rate, which stands at 68% for the 2018 November APC cohort, the South African Institute of Chartered Accountants (SAICA) says it demonstrates how high the professional standards of prospective Chartered Accountants (CAs[SA]) must be if they wish to qualify. 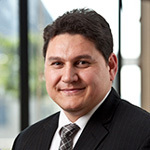 Johannesburg, 11 February 2019 – Ninety-seven percent of African senior finance executives believe their countries will be in recession no later than year-end 2019. Recession is expected in the next three quarters and real GDP growth for 2019 is estimated at less than 2%. 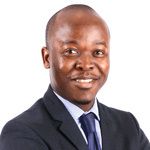 Johannesburg, 31 January 2019 - The Board of the South African Institute of Chartered Accountants (SAICA) proudly announces the appointment of Mr. Freeman Nomvalo as the Institute’s new CEO. 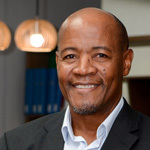 Dr. Terence Nombembe, the previous CEO’s term comes to an end on 31 January 2019. Johannesburg, Tuesday 29 January 2018 - The 2019 leg of the South African Mathematics Olympiad (SAMO) is underway and entries close on the 1st of February. Secondary schools are urged to enter any eligible high school learner to test and enhance their problem solving skills.